D-Link’s DGS-1210-10P is the latest generation of Web Smart Switches featuring D-Link Green Technology. The switch integrates advanced management and security functions that provide performance and scalability. The DES-1210-10P’s 10/100/1000 Mbps ports are PoE-enabled, offering ease-of-use and green features like time based PoE, which allows for the power to be shut off at a predetermined time. Compliant with 802.3af and 802.3at pre-standard, this switch is capable of feeding power to PoE and PoE+ devices. Management options for the switches include SNMP, Web Management, SmartConsole Utility, and Compact Command Line. The switch also supports ACL filtering and D-Link’s Safeguard Engine. The switch uses Auto Voice VLAN, ensuring higher priority for voice traffic. The DGS-1210-10P comes with a fanless design in a compact 13” desktop enclosure, also offering a 19” rack mounting option with included mounting brackets. 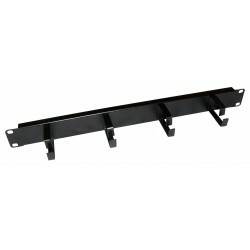 A fanless design allows for quiet operation and guarantees an extended lifetime. D-Link is constantly striving to take the lead in developing innovative technology that allows for power-saving without sacrificing operational performance or functionality. 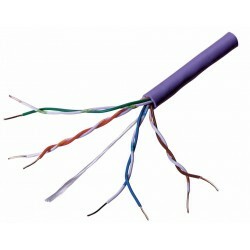 The DGS-1210-10P automatically detects the length of connected cables and can adjust power usage by saving energy on shorter cable connections of up to 20 meters. Link status drastically reduces power consumption by automatically toggling ports without a link to sleep mode. The DGS-1210-10P switch takes the approach to green IT one step further by incorporating a special chipset with this advanced silicon technology. 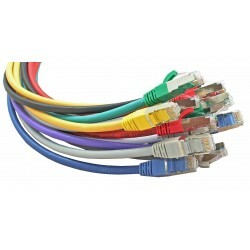 The DGS-1210-10P switch comes with ten Gigabit copper ports capable of connecting to existing Cat.5 (or higher) twisted-pair cables. Additionally, the last 2 ports of the DGS-1210-10P combine SFP and copper connectivity into one port and therefore provide a more flexible solution for upstream or downstream server connections via fibre interface. Using the default presets, the administrator can quickly set up the switch without reconfiguring any settings. Equipped with a complete lineup of L2 features, the DGS-1210-10P includes IGMP Snooping, Port Mirroring, Rapid Spanning Tree and Link Aggregation Control Protocol (LACP). The IEEE 802.3x Flow Control function allows servers to directly connect to the switch for fast, reliable data transfer. At 2000 Mbps Full Duplex, the Gigabit ports provide high-speed data pipes to servers with minimum data transfer loss. Network maintenance features include Loopback Detection and Cable Diagnostics. Loopback Detection is used to detect loops created by a specific port and automatically shut down the affected port. The Cable Diagnostic feature, designed primarily for adminstrators and customer service representatives, can rapidly discover the type of error and determine the cable quality. The DGS-1210-10P is perfect for deployment in a VoIP environment, as it support Auto Voice VLAN and Differentiated Services Code Point (DSCP) QoS for VoIP. Auto Voice VLAN will automatically place voice traffic from an IP phone to an assigned VLAN and by doing so enhance the VoIP service. With a higher priority and individual VLAN, this feature guarantees the quality and security of VoIP traffic. DSCP marks parts of an IP packet, enabling different levels of service to be assigned for network traffic. With Bandwidth Control, network administrators can reserve bandwidth for important functions that require a larger bandwidth or might have high priority. D-Link’s innovative Safeguard Engine protects the switches against traffic flooding caused by virus attacks. The switches also support 802.1x port-based authentication, allowing the network users to be authenticated through external RADIUS servers. In addition, the Access Control List (ACL) feature enhances network security and helps to protect the internal IT network. 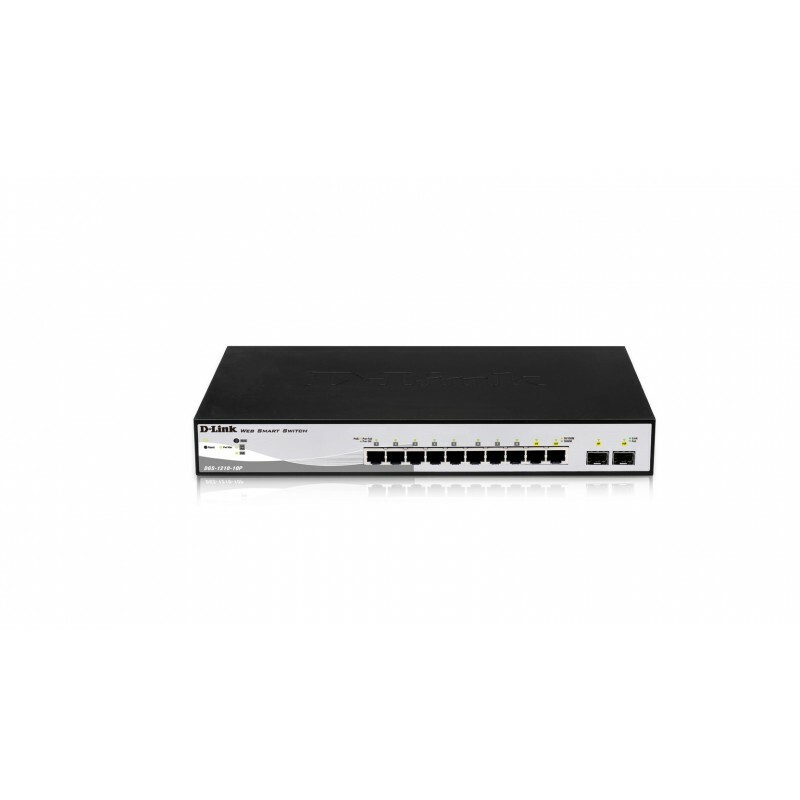 The DGS-1210-10P switch includes ARP Spoofing Prevention, which protects from attacks on the Ethernet network that may allow an intruder to sniff data frames, modify traffic, or bring traffic to a halt altogether by sending fake ARPmessages to the network. To prevent ARP Spoofing attacks, the switch uses Packet Control ACLs to block invalid packets that contain fake ARP messages. For added security, the DHCP Server Screening feature screens rogue DHCP server packets from user ports to prevent unauthorized IP assignment. The DGS-1210-10P provides a SmartConsole utility and a web-based management interface that enables administrators to remotely control their network down to the port level. The SmartConsole easily allows customers to discover multiple D-Link Web Smart Switches within the same L2 network segment. With this utility, users do not need to change the IP address of their PC. It also simplifies the initial setup of the WebSmart Switches. Switches within the same L2 network segment that are connected to the user’s PC are displayed on screen for instant access. This allows extensive switch configuration and basic setup of discovered devices including password changes and firmware upgrades. The DGS-1210-10P also supports D-View 6.0 and Compact Command Line Interface (CLI) through Telnet. D-View 6.0 is a Network Management System that allows for the central management of critical network characteristics such as availability, reliability, resilience, and security. CLI management of the switches is possible via Telnet. This makes it possible to adjust basic settings, passwords, configuration files, and firmware with ease.